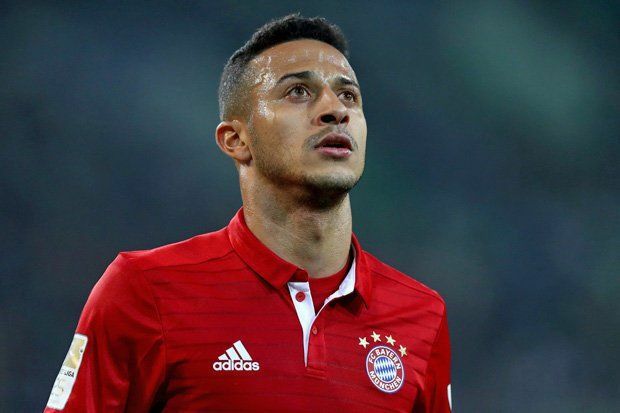 A report in the English outlet Express claims that, Real Madrid are looking to sign Thiago Alcantara from Bayern Munich as a replacement for Mateo Kovacic who has moved to Chelsea in a loan deal. The report also claims that Thiago will cost Real Madrid upwards of £45million. The transfer market for European clubs other than the English ones closes this Friday and it looks like several more deals will happen before the deadline. Barcelona are also looking to add more players before the window closes. Real Madrid have made an impressive start to the season under Julien Lopetegui so far. Although they lost in the Super Cup to Atletico Madrid, they won their two league games and Gareth Bale finally looks like he could replace Ronaldo. Surprisingly Real have not made any galactico signing to replace Cristiano Ronaldo but there is still time for a mega deal. The next few years will tell us whether Real’s shift in the policy of developing star players instead of buying them is a success or not.